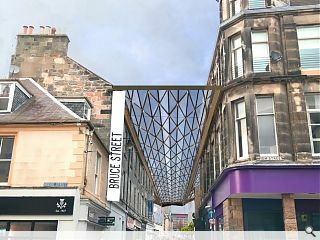 Concept designs to transform Dunfermline’s Bruce Street into a covered pedestrian route have been put forward Sam Foster Architects in an effort to guage wider support for the idea as part of Dunfermline Delivers. 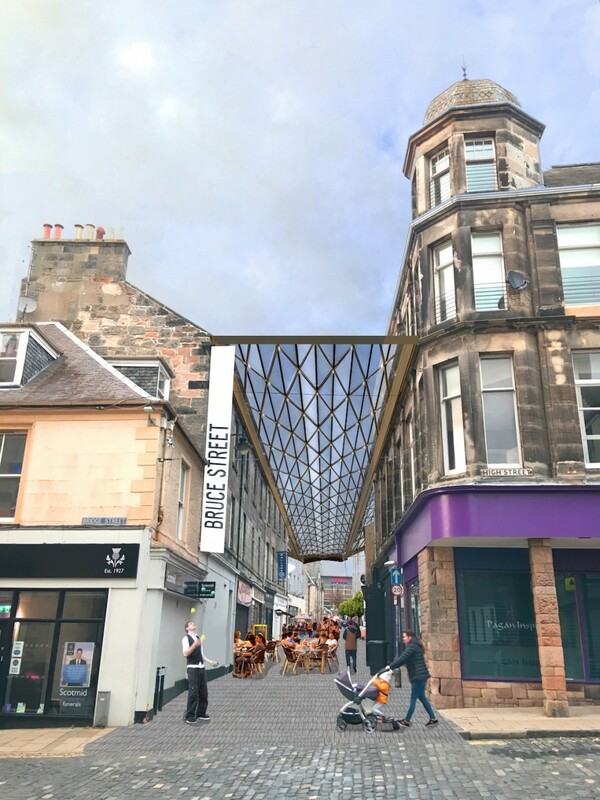 Shortlisted for Scotland’s Future Towns Partnerships competition with a view to establishing a weather-proof space for hosting events and markets the winner will progress to a feasibility study and initial fundraising to explore practical issues around implementation. Lisa Edwards, BID Manager for Dunfermline Delivers commented: “Ambitious ideas like this require business and local authority engagement, long term investment, time and commitment. Other shortlisted entries include projects at Drumchapel, Dunbar, Glenrothes, Kirkcaldy, Lanark, Leith, Nairn, Saracen Street (Glasgow) and Stenhouse. Given this is a competition with the winner chosen by public vote, will Urban Realm be giving equal coverage and space to the 8 other short-listed entries? Idea over reality here. Those facades will not bear the weight of that heavy glass and steel structure and have the owners agreed to allow this: what if they do not want a shelter attached or next to their house?